It was in May 2013 that Vogue Netherlands came under fire for showcasing a "blackfaced" white model in their spread. The editorial called "Heritage Heroes" had Dutch Model Querelle Jansen wearing dark make-up on her face and textured afro-wigs. The piece celebrated Mark Jacobs' ethnic inspirations through a flash back to black icons' styles including Grace Jones and Josephine Baker. The only problem was the fact that the model wasn't BLACK and this didn't seat well with most people. 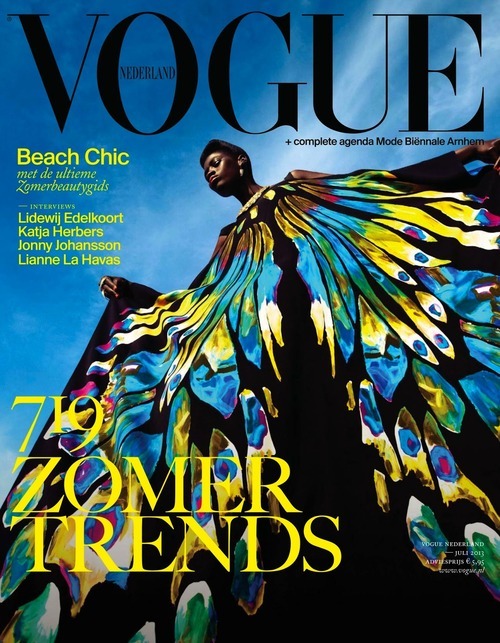 However, on the July 2013 issue, Vogue Netherlands seems to have redeemed itself by putting, for the first time in the history of the magazine, a black model on the cover. 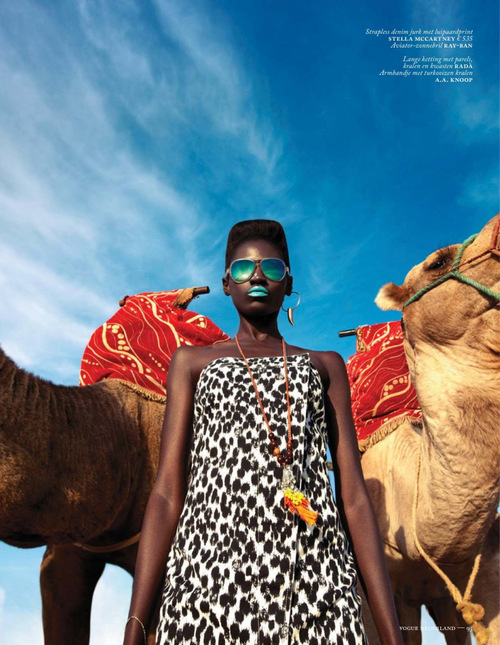 Cover girl Kinee Diouf, originally from Senegal, shined in Afrocentric shots, wearing colorful pieces and animal prints for the "Neon Oase" editorial. 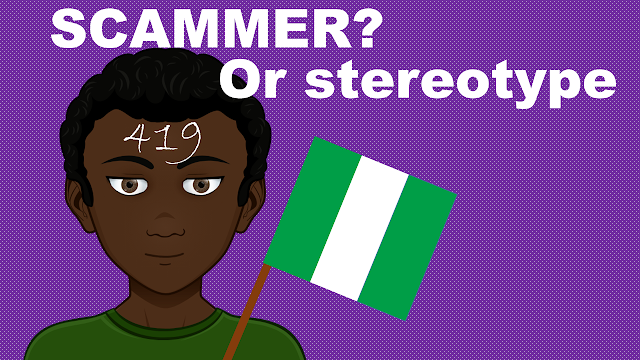 If this were an apology to the previous blackface nonsense, apology accepted! 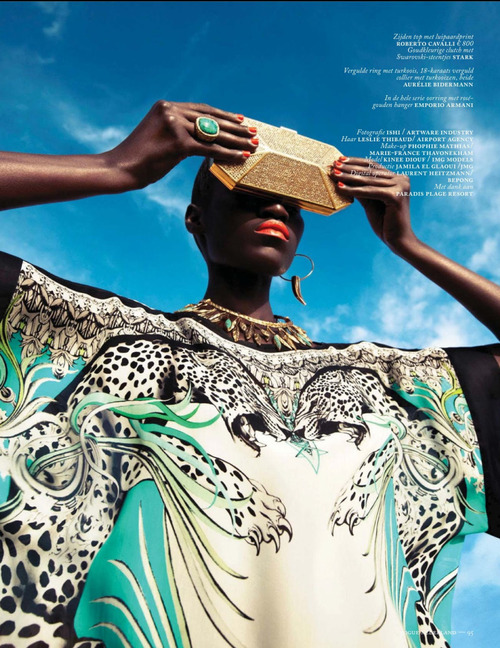 And of course we are always proud when Africans make fashion history! Check out more pictures of Diouf below.